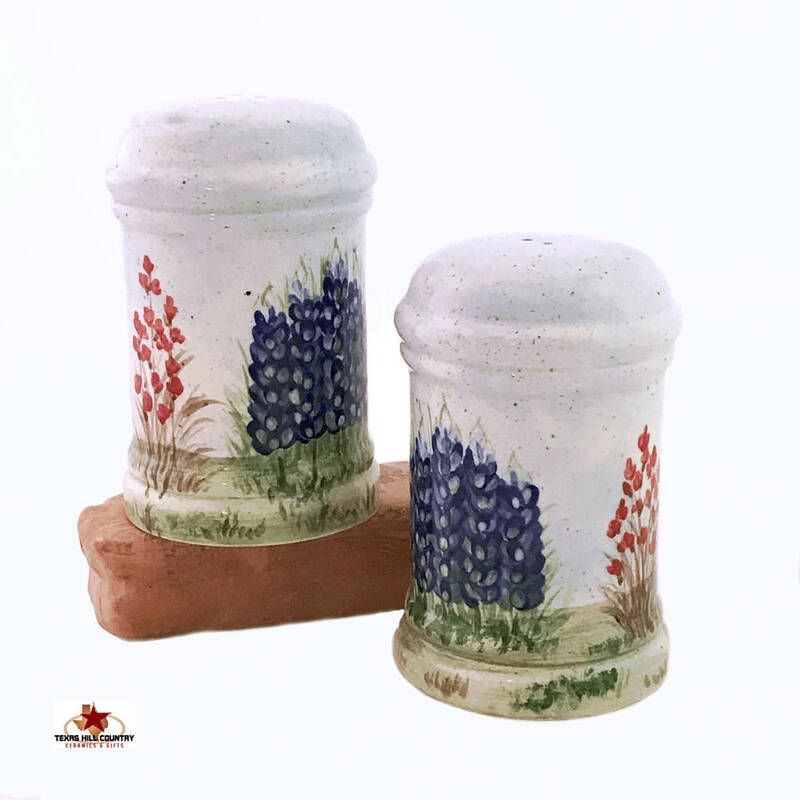 This set of Traditional Tall Cylinder Style ceramic salt and pepper shakers are perfect for any dining table setting or kitchen stovetop. Generous in size this set holds ample amounts of salt and pepper. 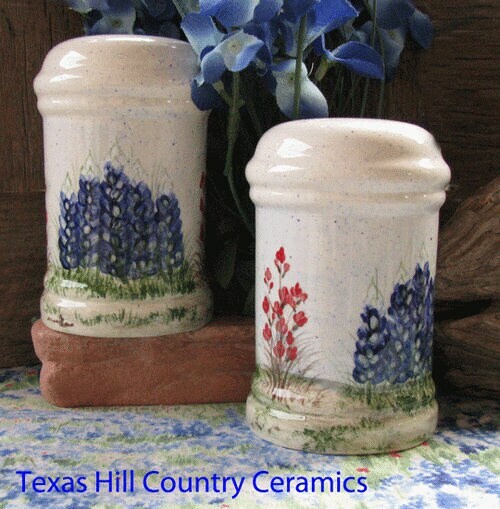 The set of shakers is decorated with my original design of spring wildflowers called Field of Bluebonnets. 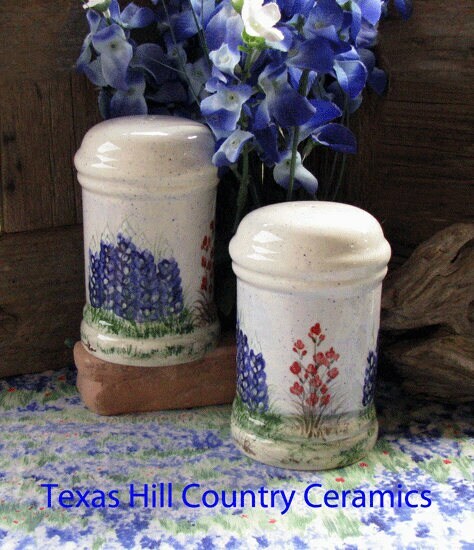 Each set is hand made in my studio located in the Texas Hill Country. This set is finished with lead free glaze, the design will never wash off, fade or peel. • 3 inches in diameter at the widest point. The set of salt & pepper shakers are dishwasher safe and food safe. Each shaker has a stopper in the bottom for easy filling.